Arshad Warsi photographed at an event in Mumbai. 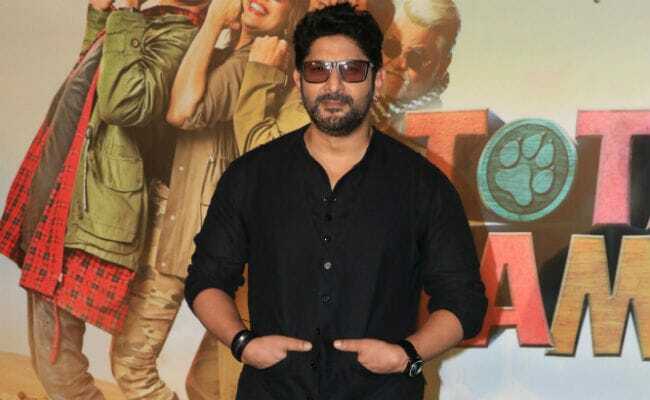 Actor Arshad Warsi says there is no reason not to make the fifth installment of the Golmaal franchise and that director Rohit Shetty is obliged to make the film. Rohit Shetty hinted about Golmaal 5 with actors Tusshar Kapoor, Kunal Kemmu, Shreyas Talpade and Arshad dancing on the hit number Aankh Maare, from his latest release Simmba. Asked if the fifth part will happen, Arshad told IANS here: "I think it will happen... Some way I feel that Rohit Shetty is kind of obliged to make Golmaal. Everybody in the country wants him to make Golmaal 5." The actor, whose latest big screen outing was Fraud Saiyyan, says the franchise is "fun and lovely". "It's completely mad and also so family oriented. Everything is so good about it. There is no reason not to make it," Arshad added. The 50-year-old actor is now gearing up for the release of his upcoming film Total Dhamaal.